Fermented food and drink such as kimchi and kombucha have only started to become popular in the UK in more recent years. However, people around the world have been harnessing the natural process of fermentation for centuries. Fermentation encourages the growth of good bacteria, which are known to play an essential part in maintaining a healthy gut. For those who don’t mind doing a bit of research and preparation, food and drink fermentation is a process that can be carried out at home. Not everyone has the time to experiment in the kitchen, though! Sometimes we want delicious food and we want it now. 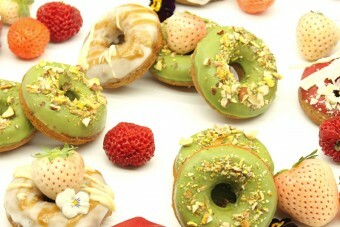 Here at Yumbles we’re passionate about discovering all the exciting, emerging food trends and sharing them with you. So if you’re ready to try something new right away, read ahead. 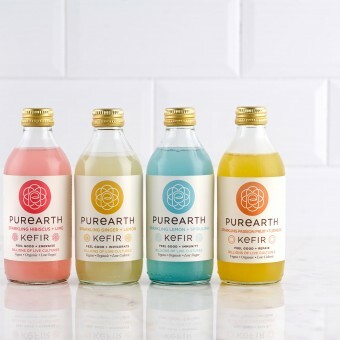 We’ve compiled a list of the UK’s very best independently made fermented foods. Kombucha is a naturally carbonated, sweet and tangy drink made from a process of fermenting sugary tea. 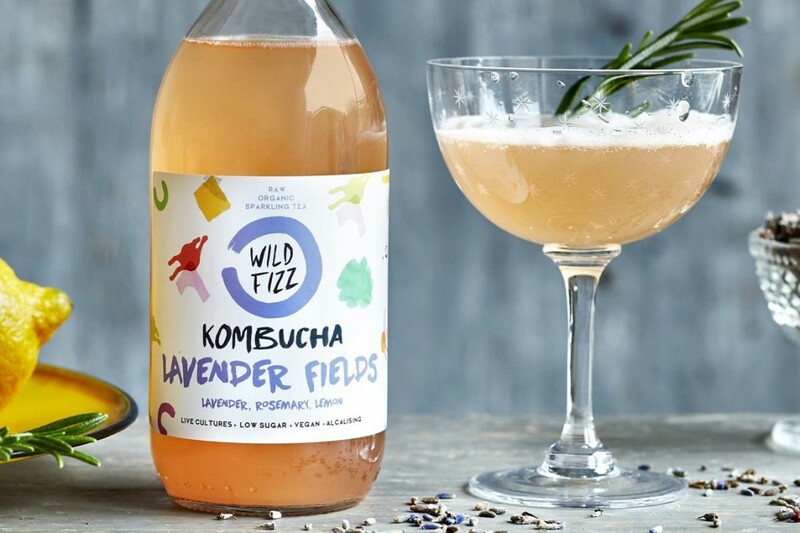 Brighton Booch use herbs, spices and fruit to flavour theirs, creating delicious and unique drinks such as Raspberry Sherbert and Orange Blossom Kombucha. 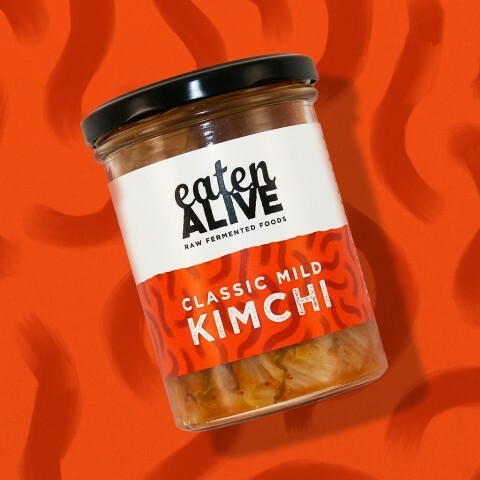 A classic kimchi with a mild kick of spice, made from hand-cut Chinese leaf and a blend of raw vegetables, sea salt and Korean chilli flakes. Use it as a topping for your rice or noodles, hot dogs, burgers, sandwiches... Or enjoy it straight from the jar. Or cook with it. You know, just try it! This fantastic sauerkraut from Eaten Alive is made from British white cabbages and carrots, fermented with a handful of aromatics. Try it on your hot dogs or sandwiches, or use it in stews with fatty meats or vegetables for that extra burst of flavour. Raw, vegan and unpasteurised. Delicious naturally fermented sparkling drinks which, in the maker’s words, contain billions of live cultures that help improve vitality and support gut health. This exciting range is infused with superfoods and cold-pressed organic juices that simply burst with freshness. Organic certified kombucha, flavoured with lavender, rosemary and lemon. As the maker notes, this drink is low in sugar and full of gut-friendly live cultures, enzymes and antioxidants. Swap your soft drinks for this artificial ingredients free alternative, made in small batches with lots of love. 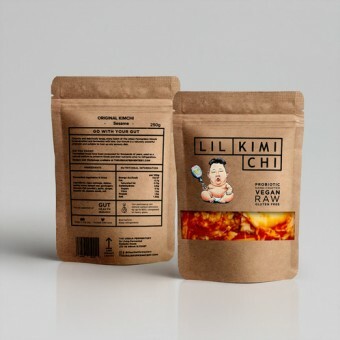 A delicious kimchi made in London using napa cabbage, daikon and spring onion, fermented with a light hit of spice and sesame. Use this crunchy, wonderfully tangy condiment to liven up a huge variety of meals, such as stir fry, eggs, toasted sandwiches, bloody marys, or just enjoy it straight from the packet. Here is an extra something for those of you who like to keep things spicy.